We are a Hong Kong based company created back in 2010 that has a very simple mission since the first days of its establishment: to help people and their pets spend hours of fun together. 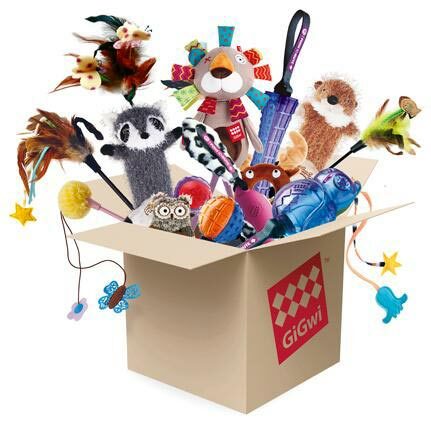 Our commitment to pet needs requires a holistic approach to making toys. It begins by using research to understand what sort of materials combined together work best, it continues by bringing together people to develop new ideas, and it comes back round by measuring the outcomes of our products. We gather exceptional team of professionals from all over the world with various backgrounds, beliefs, and perspectives, but we all share one common dream: develop our products for the better and make you and your pet satisfied. Our production process pursues the highest world standards and we always strive for improvement and aim to provide the best quality products to our clients. GiGwi Team dream is to create products that transcend geography, customs and cultures.